I have always loved to read. I don’t know how many times I heard growing up “get your nose out of that book” and do [your homework, clean up, pretty much anything else…]. I remember getting my hands on my mom’s V.C. Andrews books way too young- talk about creepy (but not enough to stop reading)! I got in a lot of trouble when I filled out one of those “10 books for a penny” cards as a kid and mailed it in… not knowing it required a monthly subscription. Ha, I thought it was a great bargain! Reading has just always been one of my favorite things to do. Fast forward to becoming a mom…. However, never in my life has it been more needed to dive into a book and take a break. I had to come up with a new reading game plan. 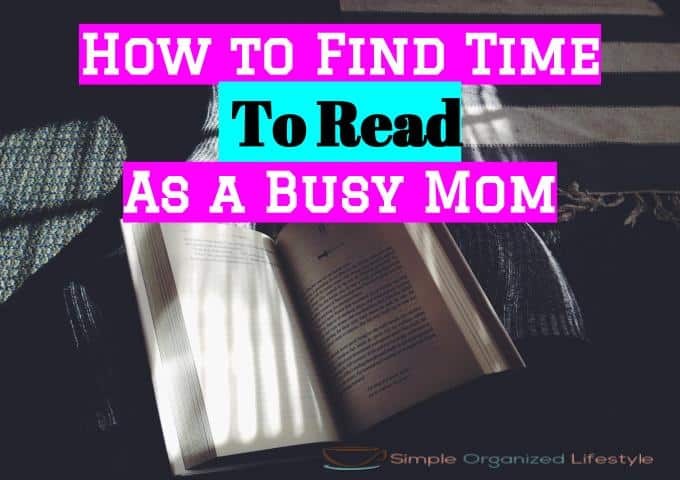 Here’s what I came up with that’s still working 5 years later and I think it would help any busy or new mom find time to read. 1. Choose a “theme” for the year and one book for each month, so 12 books a year. Having a theme makes it easy to choose books and it’s manageable even with a busy schedule. 2012- Pure raunchy fiction! Very timely with 50 Shades of Grey hitting the bookshelves and being desperate for some time to de-stress in the midst of baby bliss. 2. Buy the books all at once, or at least most of them. This saves time to do it at once and cost on shipping if they come from the same place. 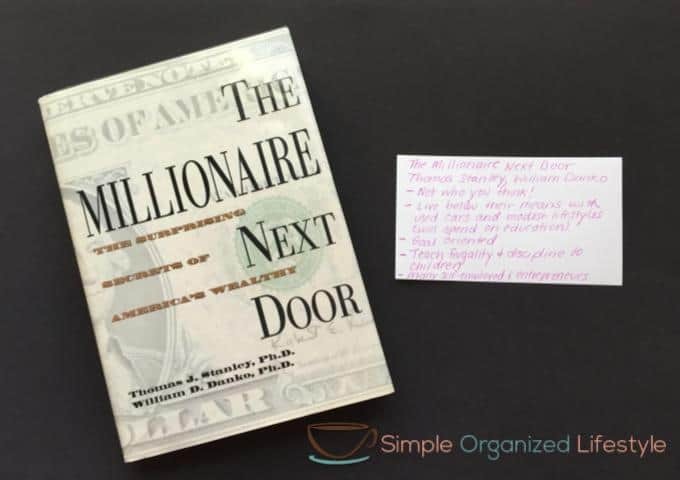 I love a frugal find, including books, but I don’t think twice about adding a category for books to the monthly budget. I view them as an investment. However, I will check betterworldbooks.com, Amazon’s used selections and our local library’s discard sale first. 3. Keep a small summary/takeaway card in the front of each book. I heard a colleague talk about doing this and I thought it was a great idea! 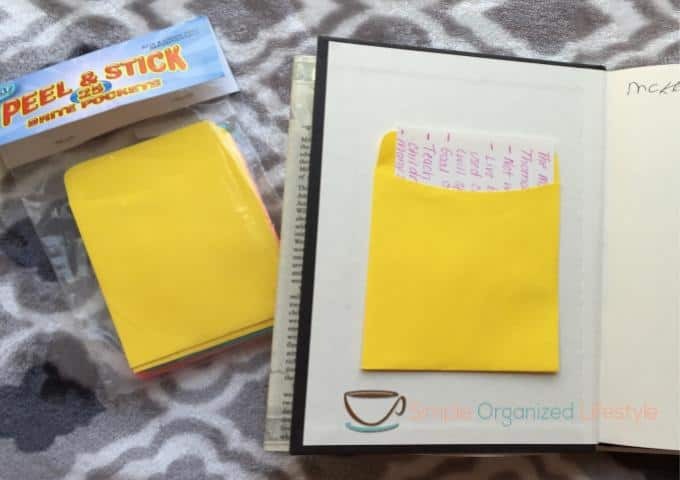 For awhile, I taped an index card in the front but then I found some peel and stick library pockets at an office supply store and started putting the index card down in those. I use the index card as a bookmark and jot down my notes when I finish the book or as I come across something I want to remember. 4. Plan time to read. Gone are the days when I would decide to start a book on Friday and Mr. SimpOL would say “I’ll see you again on Sunday.” Now I read mostly during nap times on the weekends or while the kid is watching his favorite cartoon each evening for 30 minutes to an hour. I can’t do bedtime reading… I’m too drained from the day. 5. Keep a list in Amazon of future books. I create a list in Amazon for future books that I want to read. This way, I can be on the lookout for sales and, if I get an Amazon card as a gift, I can always use it on a book to read in the future. That’s my reading routine since I’ve become a mom. For anyone interested, here’s my selections for this year. 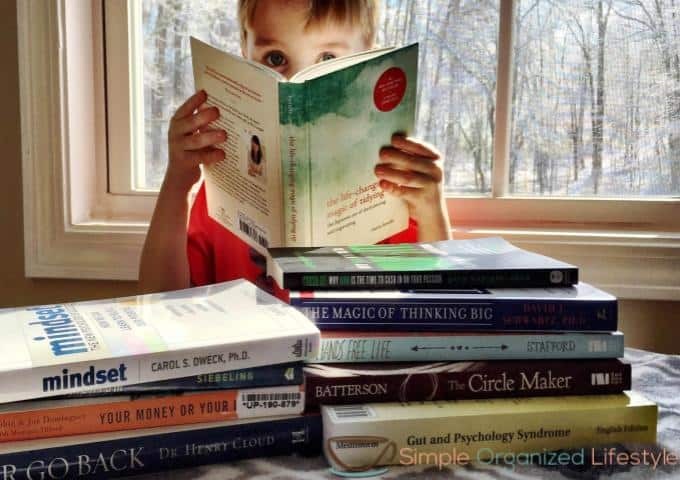 The theme is Simple Organized Lifestyle 😉 …books on the topics I write the most about- finance, kids, inspiration and organization. This was loaned to me by a co-worker so I’m reading it first. She heard me talk about some of my son’s food sensitivities and recommended it. I’m only a few chapters in, but it is eye opening and interesting. We have an appointment later this month for some help with improving his diet and I plan to take some questions based on what I’ve read so far about leaky gut. I avoided this book for a long time because I felt like I read enough reviews of this book that I didn’t need to own it. However, I have major declutter goals this year and I know this book will help! May- Crush It! : Why NOW Is the Time to Cash In on Your Passion by Gary Vaynerchuk (Recommended by several bloggers). When my mindset shifted about personal finances, EVERYTHING changed, can’t wait to read this! This is a “read again” selection because I feel like I rushed through it the first time. I’m happy to share a review of each of these books by email at the end of each month. Also, if you like the book summary idea, I made some “pretty” ones that you can print out on cardstock and use. It’s sent as a digital download with four on a page. What’s on your reading list this year? I’d love to hear about any must-read books!